Add a refreshing new attire to your work place. 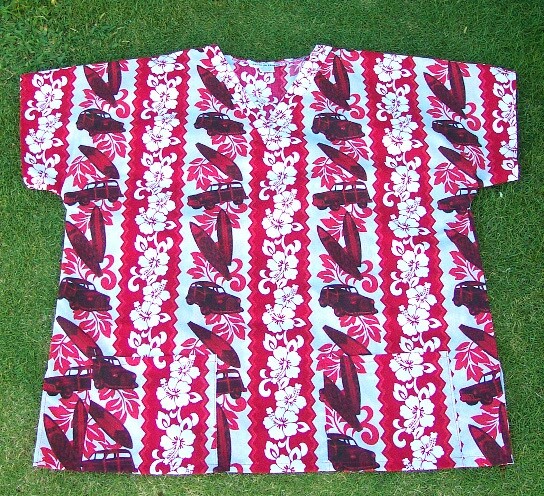 Great looking Aloha Scrub Tops! Scrub top shirts with a refreshing new difference. Made from a selection of beautiful fabrics prints and designed for a comfortable fit and style. * Comfort - Our Scrub shirts are light, cool and don't restrict your movement. * Attractive - Aloha Prints are a refreshing change from everyday scrubs. * They have the effect of brightening up anyone's day. * Quality - Manufactured by hand in Hawaii USA where workmanship & attention to fine detail are maintained. * Comes with pocket options: Two bottom side Pockets, one up left chest pocket or Three pockets. * Has side bottom slit cuts for easy movement for the two botton side pockets option. 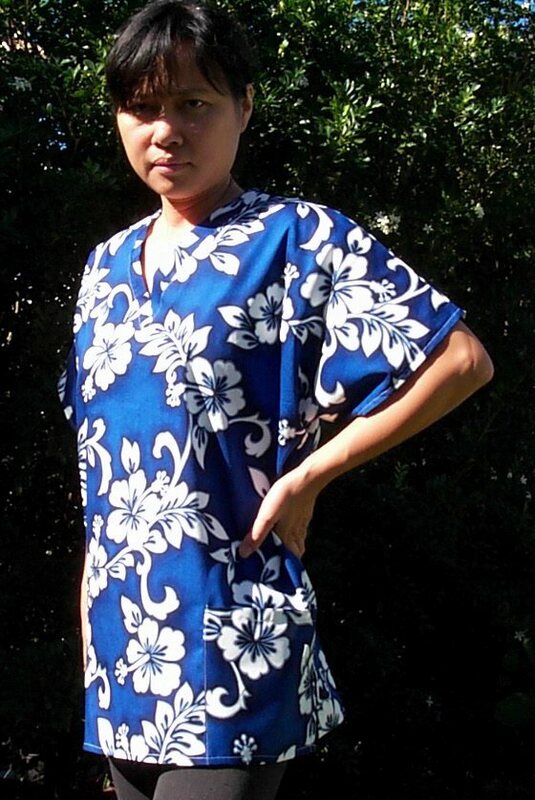 * Hawaii Aloha Print Scrub shirts match well with any solid color scrub pants you already have and they can match other solid color pants or shorts combinations.